Friends of Amari is an International Association contributing to the revitalisation of the village and valley of Amari in Crete through the Art of Storytelling and by supporting local cultural initiatives. We are committed to living in harmony with nature through sustainable practices, working alongside the people and respecting the land that has sustained human life for thousands of years. "Friends of Amari is working to re-vitalise one of the most beautiful valleys in Crete by filling it with song, story and music, drawing people from many corners of the world and transforming them with the richness and depth of its own culture" says Hugh Lupton, world renowned storyteller and Patron of Friends of Amari. “My first visit to the village of Amari in 2004 completely captivated my heart: the sound of goat bells, the taste of the organic wine, the looming presence of the snow capped mountain of Psiloritis and the sense of a natural abundance and simplicity of life that seemed to belong to another, more golden age. Since then I have been closely involved with helping foster the aims of the Friends of Amari through fundraising and running courses and I am honoured to now be one of its Patrons. I look forward to many more years of supporting this extraordinary initiative” says Sue Hollingsworth, storyteller, author, world class teacher and Patron of Friends of Amari. 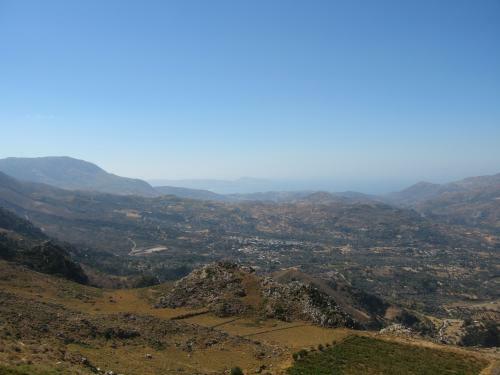 At the base of Crete's highest mountain, the Amari Valley is the land Zeus roamed as a boy. Shrines to Hermes, Pan and many other Gods and Goddesses dot the landscape each still telling the stories that have fashioned civilization for 6,000 years. Silver coins have been found showing, on the one side, the God Dionysos riding a panther and on the other the God Hermes tying his sandal. Stories are at the heart of our work. What started as a conversation between two storytellers is now a dynamic group committed to the revival of both the valley of Amari and the lost art of storytelling so central to Greek life and culture. Coming to Amari is the opportunity for visitors to be welcomed as guests and friends in a village untouched by traditional tourism. Our intention is to attract visitors who are willing to use a gentle touch, respecting the unique nature of the local people, their way of life and the land itself. In return, Amari offers the chance to deeply connect to the beauty of the landscape and the abundant simplicity of village life. As the home of Dionysos, the God of Wine, the Amari valley is also a place to let go and have a good time. a haven away from the assault of today's fast-paced lifestyles. the simplicity of village life.